Contractors buying a newly built home will find that their mortgage application process is more complex and demanding and they will need a larger deposit, as lenders have different requirements for new and off-plan property purchases. You have to tackle newly build home applications slightly differently and this is where having a contractor specialist financial adviser is so important. If you exchange contracts on a new property bought off-plan that is currently a patch of mud, you are duty bound to complete the deal and part with 10% of the contract value. If you can’t complete within 12 to 18 months, then the 10% is forfeited. It is not possible to apply for a mortgage on a property that does not yet exist, as a surveyor can’t inspect something that is not there: A contractor’s solicitor will allow contracts to be exchanged without a mortgage offer. However, the solicitor will only do this after issuing a stern warning that the contractor must secure a formal mortgage offer as soon as possible. These days, mortgage offers only last for three months and to extend or reapply incurs additional fees for the borrower if the property’s completion is delayed. That’s why a solicitor will allow their contractor client to exchange contracts without a formal mortgage offer, to save on fees. It is recommend that before they proceed and have an offer accepted on something off-plan, contractors investigate securing a mortgage and know as much as they can about their borrowing potential up front. This could mean they avoid disappointment later, and should be initiated as soon as the contractor knows they will be seeking a new property. A contractor specialist financial adviser differs from other brokers because it will approach the lenders’ underwriters at an early stage with tangible proof of income. As a result, the adviser and contractor should have an idea of what can be borrowed from the lender within 48 hours. With feedback from the lender, the contractor then knows what they need to do for the intervening months between when they secured this initial feedback and when they plan to submit a formal mortgage application when the property is near completion. This includes making sure there are no gaps between contracts and avoiding any actions that could impact on a contractor’s credit rating. 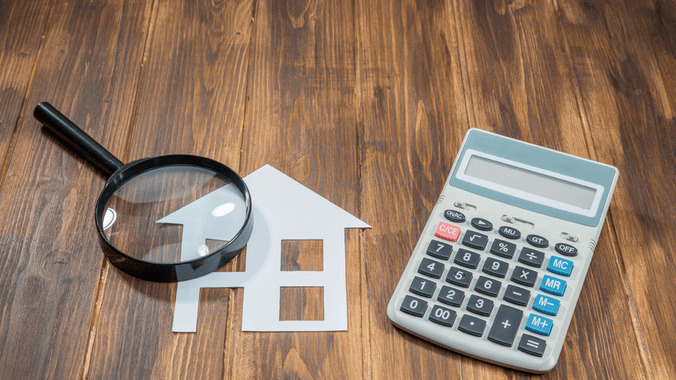 There is a sting in the tail of any new build mortgage application, which is that lenders require a larger deposit for newly built properties when compared to existing properties. This is like the premium new cars attract, and what happens when you drive a new car off the forecourt. Newly built houses lose value as soon as they are purchased, much the same as new cars. There is a premium for a new house and as soon as the house has been occupied, the house then falls in value. As a result, lenders price this into the mortgage and require a larger deposit. This is a risk management exercise on the part of the lender. If the borrower defaulted as soon as they took possession and the lender was forced to repossess the property, the price would be below what the builder’s sales price was. The lender therefore wants the cushion of having a larger cash deposit to cover any potential shortfall. The two phases of the Help to Buy scheme are hugely important for sustaining the new build market – a first time buyer contractor can get away with a 5% deposit on a new home by using the scheme. Apartments also attract a premium and lenders require a larger deposit. This is because there are more of these properties in a concentrated area. Supply and demand and resale becomes more problematic for a lender with a repossessed flat to sell. There are certain other circumstances that contractors can move forward with only a 5% deposit. Selected specialist contractor mortgage brokers do have access to new build exclusives where a first-time buyer who does not qualify for Help to Buy can move forward with only a 5% deposit. These deals are normally only available through the largest national housebuilders and their brokers. But when a specialist firm does a large volume of mortgages with some lenders, the contractor clients of these financial advisers can also be offered these deals. The next significant point on the timeline is about six months before the property is due to be built and completed. At this point, a contractor should re-engage with their financial adviser about a formal mortgage application. The financial adviser will go back to the lender’s underwriter and update them with how the contractor’s CV looks. Having the six month lead time provides enough time for the adviser and contractor to gather all of the necessary paperwork to prove income, and also to take action if something goes wrong. The formal application is submitted three months before the projected completion date, and the mortgage offer should be received within two to three weeks of the application. By this time there should also be something for the surveyor to inspect. If the property is not quite finished, the surveyor may say that they wish to return and inspect particular aspects before they recommend that the lender releases the money. This could be the internal finishes, the wiring or some other feature depending on the property. Construction schedules are notoriously unreliable and delays are commonplace, particularly if the weather has not been kind. As mortgage offers are only typically valid for three months, a few weeks delay could push the completion date beyond the mortgage offer expiry. But this worst case scenario can still be salvaged: A contractor specialist adviser should have a strong enough relationship with their lending partners to be able to go back and explain what is happening and secure an extension. Lenders tend to be sympathetic to this type of scenario as they understand that housebuilders can be hit and miss when it comes to completion deadlines. However, once the property is completed, the builders won’t tolerate any delays and the mortgage process works exactly as normal except that the sale must be completed within 28 days. The time pressure post build completion means that the contractor needs to provide a mortgage offer very quickly. The solicitor will expect a mortgage offer as the process is now the same as a normal purchase, except for the deadlines. The good news is that there is no chain of other property owners, so as soon as the mortgage paperwork and contracts have been finalised and completed, the contractor can move into their new home.